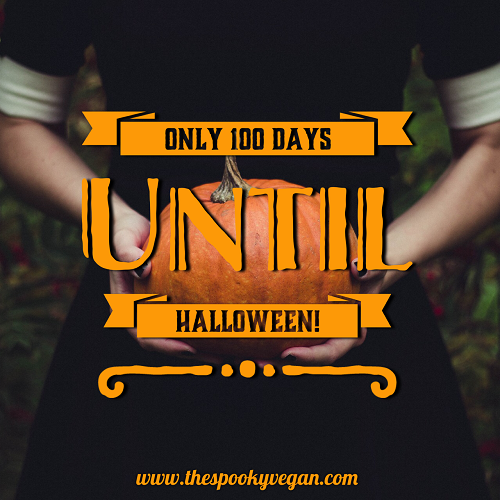 The Spooky Vegan: Only 100 Days Until Halloween! 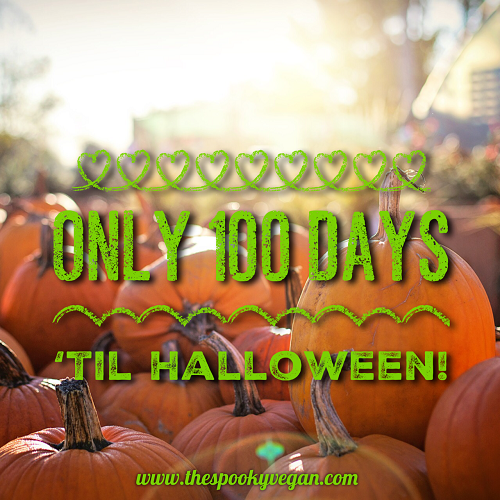 Eeeeek, there are now only 100 days until Halloween! I can barely believe how fast time is flying by this year, I feel like this autumn is going to creep up on me and take me completely by surprise! Still, I am soooooo ready for Halloween season! 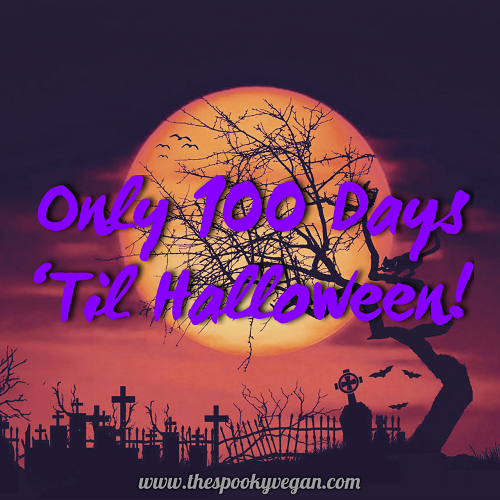 I made a few graphics to celebrate that there are only 100 days until Halloween - feel free to use them on your social media accounts if you like, and don't forget to tag me so I can see your posts! Even though Halloween is everyday, there is just something so special about this time of year right before autumn. I've been busy Halloween hunting in-stores and online (see everything I've found HERE), and I can't wait for the days to get shorter, the nights to get longer, orange and black colors to be everywhere, haunted attractions, and the spookiness of the season! These past few weeks I've been getting into the Halloween spirit by holding a fun giveaway, watching Halloween-themed movies, listening to Halloween music, burning autumn-scented essential oils, deciding which haunted attractions I want to go to, preparing for Midsummer Scream next weekend (a big giveaway will be held after the event, so stay tuned! 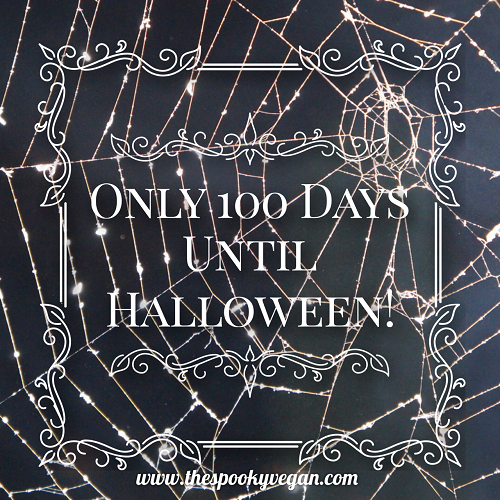 ), planning how to decorate the house, and sharing it all with you, my spooky fiends! Follow along with my Halloween adventures by following me on Instagram, Facebook, and Twitter! 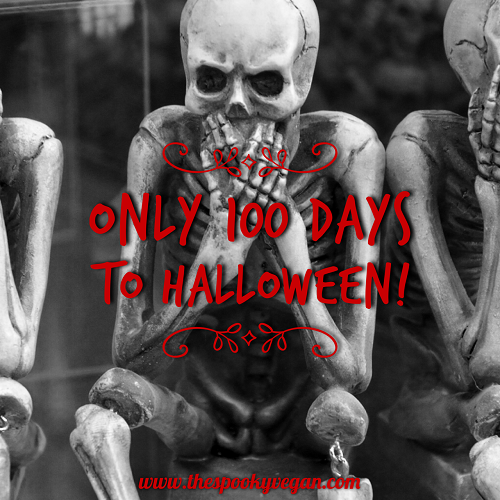 Feel free to use any of the photos in this post to share that there are only 100 days to Halloween! Remember to tag me so I can see your posts across your social media accounts!